Are you one of the users who prefer OpenOffice to Microsoft Office because it is free and easy to use? Are you tired of receiving DOC and DOCX files and being unable to view them? If your answer to one or both of the above questions is yes then you will certainly be happy to know there is simple solution to all your problems. The tool we are talking about is referred to as Word converter. If you use one of the search engines (Google, Yahoo, Bing or any other) you will see that there are hundreds of word converters available from different software developers. Most likely, you will get confused and will find it hard to decide on the program you need. We suggest that you download Total Doc Converter, a tool designed to convert any Word documents, including Word 2007. Developers of this software company are perfectly aware of how time-taking converting Word files can sometimes be. And this is why they have come up with Total Doc Converter – an easy and efficient tool to process documents from DOC and DOCX to other formats. 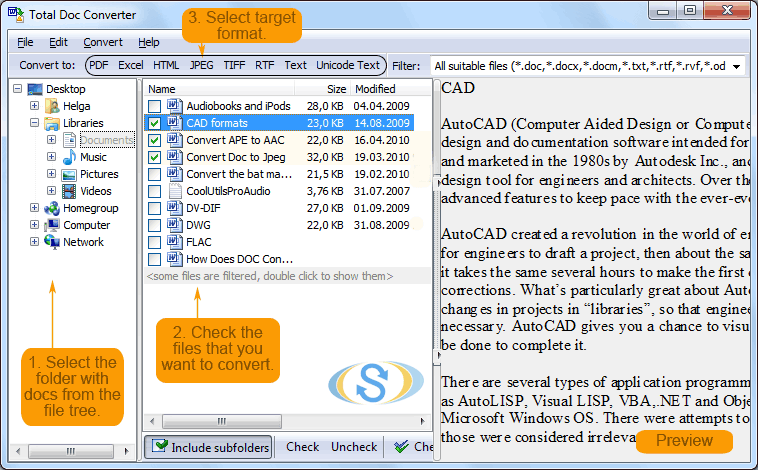 This tool allows converting of DOC, DOCX, DOCM, RTF, and TXT into several formats. They are: HTML, PDF, XLS, JPG, TIFF, and TXT. This converter is guaranteed to preserve the original quality and contents of text files. It will even preserve the document properties, such as author, key words, subject, title, etc. 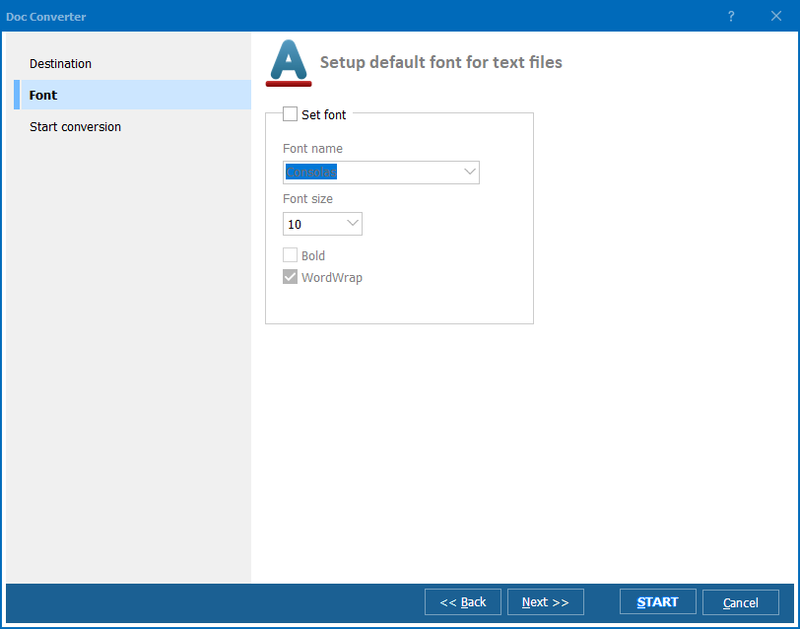 This converter allows for combining several text files into one. 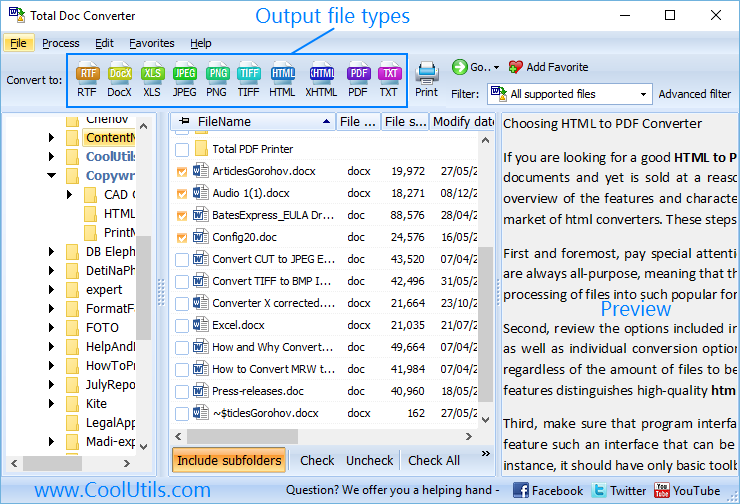 Thus, you can process 6 DOC documents into one PDF, TIFF or any file. CoolUtils converter is very easy to use. New users are welcome to take advantage of free online slideshow and detailed how-to articles. 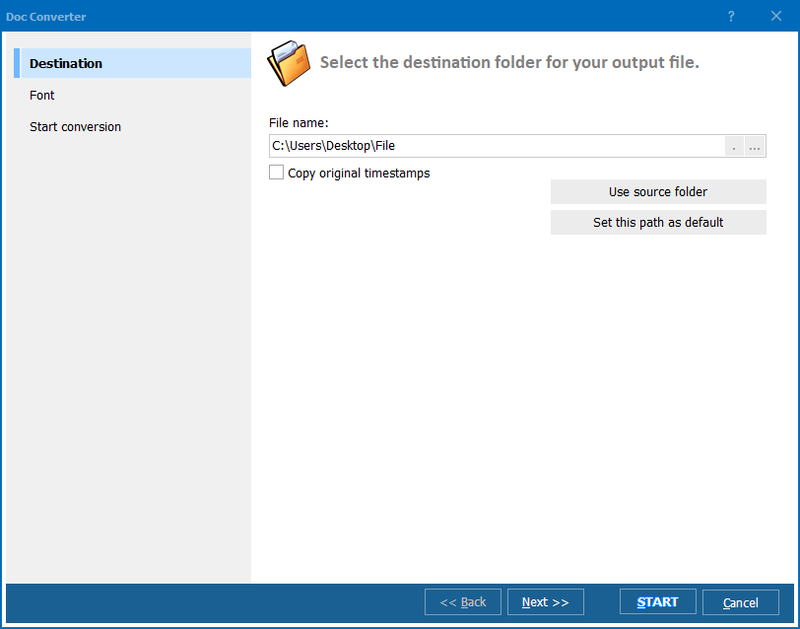 This converter can be tailored to your needs upon request, oftentimes free of charge. Simply contact CoolUtils and let the developers know what functions should be added to or removed from Total Doc Converter. 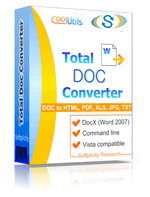 Do not hesitate to try Total Doc Converter! Download the trial version now and use it for free for 30 days!